Like Barbie dolls, G.I. Joe figures, Star Wars toys, baseball cards, and any number of other pop culture playthings that transfixed so many thirty- and forty-somethings during their childhood years, classic videogames have become a commodity in the collector’s market. Videogame conventions, such as the Classic Gaming Expo (cgexpo.com), have sprung up all over the country, bringing in fans by the thousands to ogle dealers rooms filled to the brim with nostalgic goodness. Items for sale generally include older games still in their original packaging, rare systems such as the Adventure Vision and the RCA Studio II, boxes of common (and thus inexpensive) Atari 2600 cartridges, newly released “homebrew” titles (produced by fans), vintage handheld electronic games, back issues of Electronic Games Magazine, and much more. For those who can’t make the convention scene, but are craving the simple, yet challenging pleasures of retro-gaming, there’s always eBay, which at any given time has thousands of retro games up for auction. 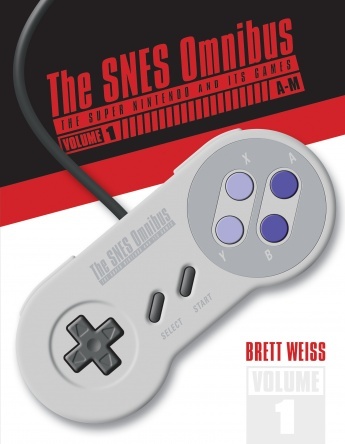 Ten years ago, rummaging through garage sales, flea markets, and thrift stores was a good way to go about building a classic videogame collection, but these days, such a quest is usually fruitless (at least for those looking for pre-Nintendo era games), thanks to the proliferation of online dealers, the perceived value of game cartridges, and the increasing scarcity of older games. 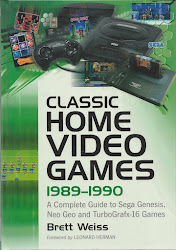 To give gamers some idea of what to expect when looking to purchase a specific title, a number of resources are available, including Video Game Collector (a quarterly magazine with price guide), Atari Age (a comprehensive Atari website), and the various collector’s guides published by Digital Press. Although it wasn’t the first programmable videogame console (that honor belongs to the Fairchild Channel F), the Atari 2600 was easily the most popular system of the late ‘70s and early ‘80s, meaning it is now the most sought after system by those looking to revisit the Golden Age (pre-Nintendo era) of videogames. The 2600 (originally called the Atari VCS) was released in October of 1977 and wasn’t officially declared dead by Atari until January of 1992, making it the longest lived videogame system in the history of the industry. And, at more than 30 million systems sold, it is also one of the most commercially successful. When compared to today’s offerings, Atari 2600 games have terribly primitive graphics. However, the actual gameplay of many of the system’s titles have a timeless quality that cannot be denied. Some of the more enjoyable releases include: Space Invaders and Phoenix (shooters); Jr. Pac-Man and Jawbreaker (maze games); Kaboom! 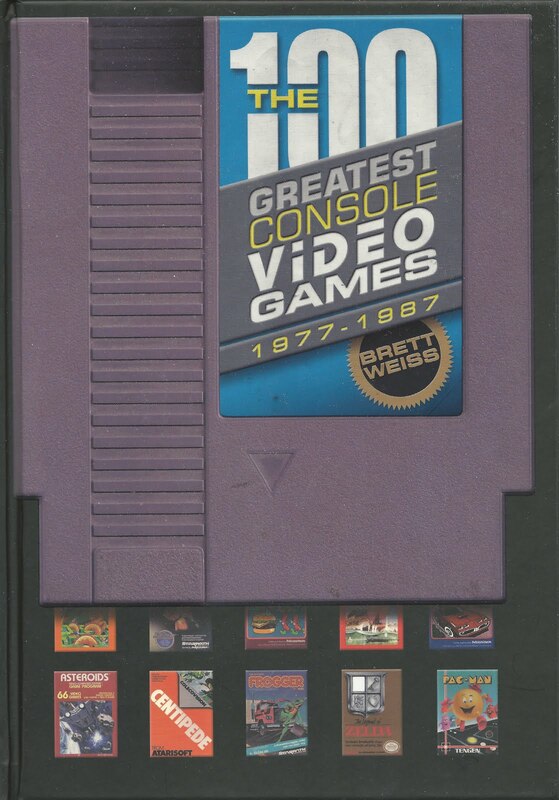 and Dig Dug (action games); and Super Breakout and Warlords (ball-and-paddle games). Those looking for more complex titles should seek out games like Adventure (a spiritual forefather of The Legend of Zelda), Pitfall! (a progenitor of Super Mario Bros.), and Space Shuttle: A Journey into Space (an innovative flight simulator). 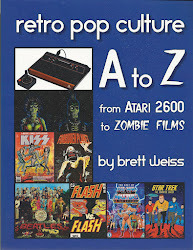 Hundreds of games were released for the 2600, meaning players of all stripes should be able to find something to their liking. In 1979, Mattel Electronics released the Intellivision, giving birth to the first true console war. Marketed as a more sophisticated, more powerful alternative to the aging Atari 2600, the Intellivision boasted games with superior visual detail and more realistic features. The system’s popular, groundbreaking sports titles (such as Major League Baseball and NFL Football) haven’t aged as well as some of the 2600’s more action-oriented efforts, but armchair athletes will definitely find the Intellivision to be the Golden Age system of choice when it comes to sports. Fun non-sports games for the system include Beauty & the Beast (a Donkey Kong-like game), BurgerTime (a great port of the arcade classic), Diner (the sequel to BurgerTime), Demon Attack (a game that Phoenix fans will love), and Thin Ice (a cute take on the Qix formula). 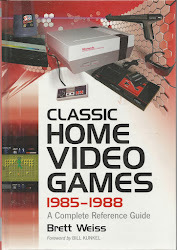 Nineteen-eighty-two saw the release of two next-gen systems, the ColecoVision and the Atari 5200, both of which blew away previous consoles in terms of sheer audio/visual power. Bolstered by marvelous ports of such coin-op classics as Donkey Kong, Donkey Kong Jr., Mouse Trap, Lady Bug, and Zaxxon, the ColecoVision was the first system to give gamers the true sensation of playing their favorite arcade games in the comfort of their own homes. Released just a few months after the ColecoVision, the 5200 was also a success in terms of arcade quality, giving gamers exceptional ports of Defender, Moon Patrol, Pac-Man, Ms. Pac-Man, Robotron: 2084, and many others. Unfortunately, both systems were victims of The Great Videogame Crash of 1984, which, for a variety of reasons, brought the industry to a virtual standstill (until 1985, when Nintendo released the NES to wide acclaim). In addition to the aforementioned fab four (Atari 2600, Intellivision, ColecoVision, and Atari 5200), there were a variety of other systems released during the late ‘70s and early ‘80s, including the obscure APF MP1000, the interesting Arcadia 2001, the underrated Astrocade, the Odyssey2 (which had its own keyboard), the Vectrex (which had its own monitor), and the Microvision, which was the first programmable handheld system. By far the best way to play any of these systems is to acquire the originals, along with the accompanying cartridges, controllers, and other peripherals. There’s nothing quite like hooking up an actual ColecoVision to a 19-inch television set, plugging in a Roller Controller trackball and a Centipede (or Slither) cartridge, and blasting away at bugs and mushrooms (or at snakes and cacti) for hours on end. Or, booting up an Atari 2600 and playing Video Olympics (a collection of Pong variants) with up to three other players using Atari’s wonderful rotary paddle controllers. For some gamers, it is simply not practical to purchase and install vintage videogames. And, there are casual gamers who may want a blast from the past, but are only looking for a taste, not a full course meal. For these non-purists, there are a number of retro collections available for various modern consoles (and computers), including Intellivision Lives! 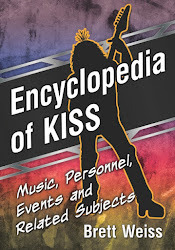 (featuring more than 60 titles), Activision Anthology (containing 48 Atari 2600 games), and Atari Anthology (home to 67 Atari 2600 titles and 18 Atari arcade games). 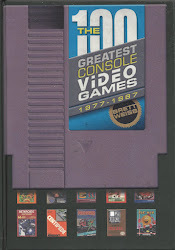 Unfortunately, most of the other Golden Age systems, including the Atari 5200 and the Odyssey2, lack such compilation discs, but most systems have been emulated online, meaning gamers can download and play hundreds of console classics on their home computers. 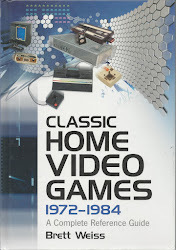 There are a number of other ways to play classic games, including retro-style joysticks and control pads that hook up directly to the audio/video ports of modern television sets. These nifty gadgets, such as the Atari Classics 10-in-1 and the Intellivision 25, are an easy way to experience old school cool without dishing out a lot of dough or taking up a lot of living room space. Slightly more ambitious gaming enthusiasts may want to try the Atari Flashback and/or the Atari Flashback 2, both of which are modeled after the original Atari 2600, but with the games built inside the unit. Whatever route nostalgia buffs care to take, playing console games of yesteryear is a great trip down memory lane. 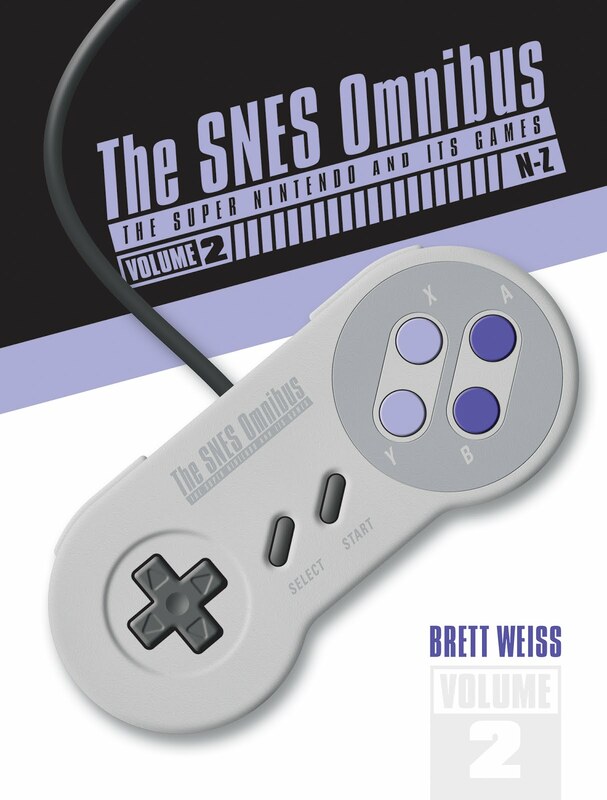 And, for younger players, classic videogames provide a fascinating glimpse into the past, when games were simplistic both visually and conceptually, yet imbued with a certain charm and elegance all their own.